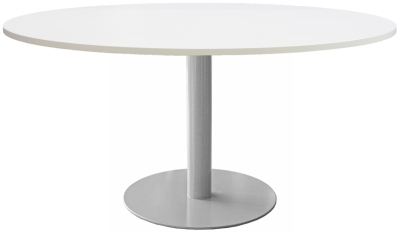 Heavy duty weighted base table ideal for high capacity seating with central pedestal legs. Central leg construction creates collaboration and excellent meeting locations. Quality powder coated base and column and quality MFC table top with high impact ABS edges.